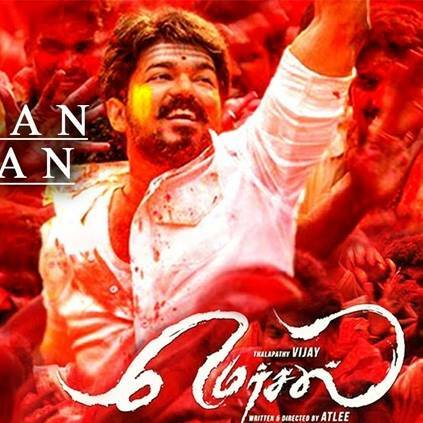 Mersal was Vijay's last release, that hit the screens last year. The film had Kajal Agarwal, Samantha Akkineni, and Nithya Menen playing the female leads, while Atlee was at the helm of things. Produced by Thenandal Studios Limited, this film did quite well at the box office. The good news for all Thalapathy bloods is that, Mersal is one of the 4 Indian Films scheduled to release in China in the next 6 months. The other 3 films are Aamir Khan - Amitabh Bachchan starrer, Thugs of Hindostan, Zero, and Akshay Kumar - Radhika Apte starrer Padman. Till date, all the Indian films that have been screened at China like Baahubali series and Dangal, have smashed Box office records, and we hope even Mersal follows suit. People looking for online information on Mersal, Padman, Thugs of Hindostan, Vijay, Zero will find this news story useful.